With Industry 4.0 comes a new dawn of automation and intelligence and the smart factories that produce them. 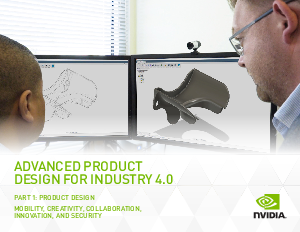 This creates new opportunities for product design professionals to improve team efficiency and speed time to market. In this e-guide series, explore how the product development workflow is changing, its challenges, and the new technologies being developed to meet them. You’ll learn the techniques to adopt and the quantifiable benefits manufacturing companies are experiencing today.